Lord Zero is a raw, wild paw and screaming typeface designed by Set Sail Studios, a UK based a design collective dedicated to providing high quality, fresh & innovative digital media. 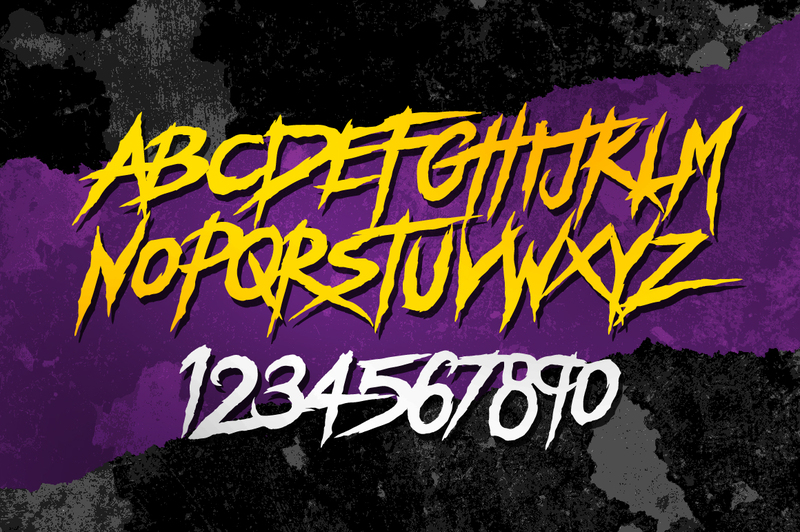 Coming as an all caps font, Lord Zero feature a loud, beastly style that is great for posters, logos, apparel, album artwork and game titles. Be careful, Lord Zero can scream really loud! A font description published on Saturday, September 12th, 2015 in Fonts, Sam Parrett, Set Sail Studios by Andrei that has 5,744 views.